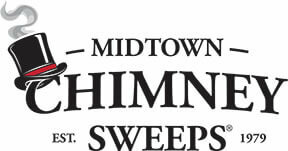 : Cost of Midtown Chimney Sweeps Franchise? How Much Does It Cost to Own a Midtown Chimney Sweeps' Franchise? Owning a Midtown Chimney Sweeps franchise can be a lucrative business, but it does have some initial financial requirements. To open a single franchise location, the company requires that potential franchisees have liquid assets of at least $50,000. Midtown Chimney Sweeps falls under the 'home services' franchise category. Inside this category, it is further subcategorized under 'handyman', 'home improvement' and 'house cleaning/maid service'. See how the investment level of Midtown Chimney Sweeps' compares to those of other available franchises. Did you know that 52% of all U.S. households have at least one fireplace in their home? The Hearth Industry is what we call the fireplace manufacturing, installation and sweeping business in the US, and this industry alone was worth approximately $2,185,000,000 in 2011. It is a rather invisible and yet very real and fast growing business opportunity in the United States because the majority of existing chimney sweeping company owners are reaching the age of retirement. With Midtown Chimney Sweeps, your business can hit the ground running because we answer all your inbound marketing calls and emails and book the jobs on your schedule that you control. No more front desk receptionist for your business, use our scheduling center and grow the business in the field now through your sales experience! Midtown Chimney Sweeps is not currently accepting new franchise inquiries through this site. Please see our comprehensive directory for currently available franchises near you.